The Best Library blogs from thousands of top Library blogs in our index using search and social metrics. Data will be refreshed once a week. 2.45 Did You Ever Stop To Think & Forget To Start Again? Library newsletter is a comprehensive summary of the day's most important blog posts and news articles from the best Library websites on the web, and delivered to your email inbox each morning. To subscribe, simply provide us with your email address. Buffalo, NY About Blog LISNews is a collaborative weblog devoted to current events and news in the world of Library and Information Science. Facebook fans n/a. Twitter followers 14,369.
International About Blog Portal on all aspects of ebooks and digital content and for all creating, reading, publishing, managing, curating, and distributing the written word and other content in digital format, including publishers, writers, editors, content developers, distributors, educators, librarians and information science professionals. Facebook fans 134. Twitter followers 2,499. About Blog Teen Librarian Toolbox is a professional development website for teen librarians, created by Karen Jensen. Our mission is to to help libraries serving teens and to foster a community of professional development and resource sharing by providing quality information, discussions, book reviews and more. Facebook fans 3,521. Twitter followers 10,802. About Blog Hi, My name is Jessamyn West and I’m a library technologist living in Vermont. This is my professional blog where I occasionally write about library-oriented things and about my own work within the library profession. Facebook fans n/a. Twitter followers 507. About Blog The Association for Library Service to Children (ALSC) is a network of more than 4,000 children's and youth librarians, children's literature experts, publishers, education and library school faculty members, and other adults committed to improving and ensuring the future of the nation through exemplary library service to children, their families, and others who work with children. Facebook fans 11,739. Twitter followers 15,712. About Blog I’m passionate about how technology tools can transform schools and libraries, fascinated by library design for 21st century schools and interested in school reform. I'm a high school and district librarian at a suburban high school who loves to explore the intersection of technology, libraries, and schools. Facebook fans n/a. Twitter followers 6,190. About Blog I started this blog as a way to communicate directly with library science graduate students and new professional librarians. Get advice to those who are new (or even not so new) to librarianship from someone who has been doing this work for a while now. Facebook fans n/a. Twitter followers 2,948. New Albany, IN About Blog My name is Abby Johnson. I'm By day, youth librarian in Southern Indiana and By night, blogger extraordinaire. I blog about new librarians and library school students which is a passion of mine and you'll find many of my posts written with that audience in mind. Facebook fans n/a. Twitter followers 5,005. Baltimore, MD About Blog Welcome to the Sheridan Libraries blog. A convenient way to keep up with library news and events, learn about services and resources you may not have been aware of, and communicate with us. Facebook fans 2,380. Twitter followers 1,998. San Diego, CA About Blog Find library and information science best practices, issues, technology and trends from librarians around the world on Elsevier’s Library Connect website. Facebook fans 15,415. Twitter followers 7,838. Cambridge, MA About Blog The Harvard Library is the largest academic library in the world. HLS combines genuine excellence and wonderful diversity on a scale that is unmatched anywhere. Facebook fans 1,786. Twitter followers 23,524. Ann Arbor, Michigan About Blog Our mission is to support, enhance, and collaborate in the instructional, research, and service activities of the faculty, students, and staff, and contribute to the common good by collecting, organizing, preserving, communicating, and sharing the record of human knowledge.Also find blogs from the University of Michigan Library. Facebook fans 1,424. Twitter followers 2,042. About Blog Welcome! In a time of rapid change, Cornell University Library continues to stand at the center of intellectual life on campus. With world-class collections and services — print, online, and in person — our Library serves as an indispensable partner in study, teaching and research at the university. Facebook fans 28,943. Twitter followers 1,954. Durham, NC About Blog Welcome to the Duke University Libraries! Here you will find not only a rich array of resources assembled to support the learning, teaching and research of the Duke community, but also talented, knowledgeable people to assist you — along with inspiring, comfortable spaces in which to read, write, reflect, create and collaborate. Facebook fans 2,778. Twitter followers 1,726. Canberra, Australia About Blog The Library’s role, as defined by the National Library of Australia Act, is to ensure that documentary resources of national significance relating to Australia and the Australian people, as well as significant non-Australian library materials, are collected, preserved and made accessible either through the Library itself or through collaborative arrangements with other libraries and information. Facebook fans n/a. Twitter followers 37,275. Australia About Blog SCIS (Schools Catalogue Information Service) provides schools with consistent, high-quality catalogue records, in order to reduce the cost and duplication of effort of cataloguing resources in schools. Mission to improve the quality and consistency of cataloguing materials for schools. Facebook fans 26,535. Twitter followers 2,602. About Blog This blog will offer ideas, information and insight that can be used by others to enrich and enhance teaching and learning in the school. Underpinning what is offered will be a solid basis of knowing how learners learn and the pedagogy that supports this. About Blog This personal blog is my vehicle to share my ideas about books,reading,lessons, and technology intergration. DC Metro, HoCo, & Balto, hon About Blog Gwyneth Jones is a blogger, a Tweeter, an international Ed Tech speaker, trope and meme archivist, creator of content, a citizen of advocacy, and a resident of social media. She is a Google Certified Teacher, and the author of the award winning The Daring Librarian blog. Facebook fans n/a. Twitter followers 32,586. Katy, TX About Blog Welcome to the Tompkins High School Library! We are here to help with your reading, research, and technology needs. We are excited to be building a collection of books, ebooks, and audio-visual resources that support all facets of the high school curriculum! About Blog The mission of the Tays Junior High Library is to provide a welcoming environment rich in literature and resources, which incorporates curriculum, technology, and staffing. A Titans library blog. Chicago About Blog American Libraries is the voice of the profession and the flagship magazine of the American Library Association. Facebook fans 13,656. Twitter followers 65,290. Facebook fans n/a. Twitter followers 3,072. Aarhus, Denmark About Blog Princh makes the lives of library staff and patrons a little easier by offering a user friendly and innovative printing solution that was built in collaboration with Danish libraries – it’s now spreading quickly internationally. Facebook fans 751. Twitter followers 329. Columbus, OH About Blog We're Disrupted, We're Librarians, and We're Not Going to Take It Anymore. The Disruptive Library Technology Jester (DLTJ) blog is all about exploring the expanse between those two points, with a tendency towards the disruptive (but not destructive) side of the spectrum. Facebook fans n/a. Twitter followers 1,125. About Blog In the Library with the Lead Pipe is a bi-monthly, digital publication. Our intent is to help improve our communities, our libraries, and our professional organizations. In the Library with the Lead Pipe is an open access, peer reviewed journal. Facebook fans 1,870. Twitter followers 7,879. New York, NY About Blog Library For All is a nonprofit organization that has built a digital library to deliver quality educational materials in developing countries. Facebook fans 3,739. Twitter followers 2,209. About Blog My name is Sarah Houghton and I am working as the Director for the San Rafael Public Library (California). A blog related to librarianship, technology, web services, and current trends to find those few posts that applied to my work. Facebook fans n/a. Twitter followers 16,247. USA About Blog Bobbi Newman is a librarian, writer, consultant, library advocate, and an international speaker. I am available, and delighted, to speak on a variety of library, technology, and innovation related topics. Facebook fans 2,615. Twitter followers 10,895. About Blog Michael Sauers is currently the Director of Technology for Do Space in Omaha, NE. The blog of Technology Innovation Librarian and Author Michael P. Sauers. Facebook fans n/a. Twitter followers 2,619. About Blog I am a writing and Language Arts teacher who loves learning, literacy, stories, learning, dogs, poetry, fabulous shoes, and good lip gloss. I blog in this space about my work as a librarian. Facebook fans 1,320. Twitter followers 17,563. Topeka, KS About Blog David Lee King is the Digital Services Director at Topeka & Shawnee County Public Library, where he plans, implements, and experiments with emerging technology trends. I create, write, think, and speak about the social web, emerging trends, and libraries. Facebook fans n/a. Twitter followers 348. About Blog Exploring the intersection of design, user experience and creativity for better libraries. Chicago, IL About Blog The LITA Blog features original content by LITA members on technologies and trends relevant to librarians. Our writers represent a variety of perspectives, from library students to public, academic, and special librarians. Facebook fans 5,233. Twitter followers 17,341. About Blog Librarianship Studies is the best internationally acclaimed Library and Information Science blog for libraries, librarians, catalogers, i-School Master of Library and Information Science (MLIS) & Ph.D. students, researchers, and LIS professionals. Find posts and updates on Library. Facebook fans 3,078. Twitter followers 507. Fremantle. Australia About Blog I’m Kathryn Greenhill. A blog about Musing, enthusing, libraries, technology, creativity, balancing, being mum. About Blog I am a medical librarian who enjoys writing about medical librarianship, information retrieval, and user education. My thoughts and writings tend to have more a techie slant to them because I really enjoy using and seeing how all types of technology can help us find, judge and process medical information better. Facebook fans 591. Twitter followers 2,089. Facebook fans n/a. Twitter followers 5,907. About Blog I'm the Public Services Systems Librarian (aka webmaster) at the University of Calgary, in Alberta, Canada. A blog about a librarian. Facebook fans n/a. Twitter followers 1,080. Cambridge MA About Blog Chris is a US Army veteran, erstwhile sociologist and feral librarian. I like to write about libraries, scholarly publishing, social justice issues, sports, and music. Facebook fans n/a. Twitter followers 9,647. South Carolina, USA About Blog My experiences as a former librarian, edtech geek and instructional technologist. A blog about my experiences as a wannabe edtech geek and middle school librarian. About Blog Hello. My name is Justin Hoenke. A blog about a librarian. Facebook fans n/a. Twitter followers 7,398. 45. Did You Ever Stop To Think & Forget To Start Again? York About Blog Reviewing and talking about children's literature, graphic novels & bookish things. Shiny. Facebook fans n/a. Twitter followers 3,340. About Blog The resource will help librarians identify publishing and presentation opportunities in library & information science, as well as other related fields. I will also include calls for papers, presentations, participation, reviewers, and other relevant notices that I find on the web. Williamsport, PA About Blog Brodart’s librarians are eager to share their passion and knowledge for library-related issues, current topics, and book reviews to spark new ideas and offer fresh insight on library themes large and small. Facebook fans 4,691. Twitter followers 1,440. Sonoma County, California About Blog I am the Dean of the Library at Sonoma State University, an august entity that disavows everything written on this blog. K.G. Schneider's blog on librarianship, writing, and everything else. Facebook fans n/a. Twitter followers 7,274. Canada About Blog This blog consists pints of interest to the west coast law librarian. Highlighted sources on km, web development, and law library management. About Blog I am a currently the Replacement Librarian at the Berkman Library, University of Ottawa Heart Institute. Blogs on Musings of a lady librarian. A blog about how health librarians can facilitate EBP, and connect decision makers, health professionals, researchers and patients with the information they need. Facebook fans n/a. Twitter followers 327. About Blog Hi I'm Alan Samry. I write about being an amputee and a public librarian. I posts and updates on library. Facebook fans 16. Twitter followers 24. Facebook fans 91,403. Twitter followers 202,571. About - Quick information - where we are and when we are open; what you can do on our websites. What we do and why; how we are performing; how we are run and who we work with. Our plans. About - Glasgow Women’s Library is no ordinary library! We are the only resource of its kind in Scotland and a true national treasure. About - Providing the University of Reading with a gateway to the world of information, and the skills to make the most of it. 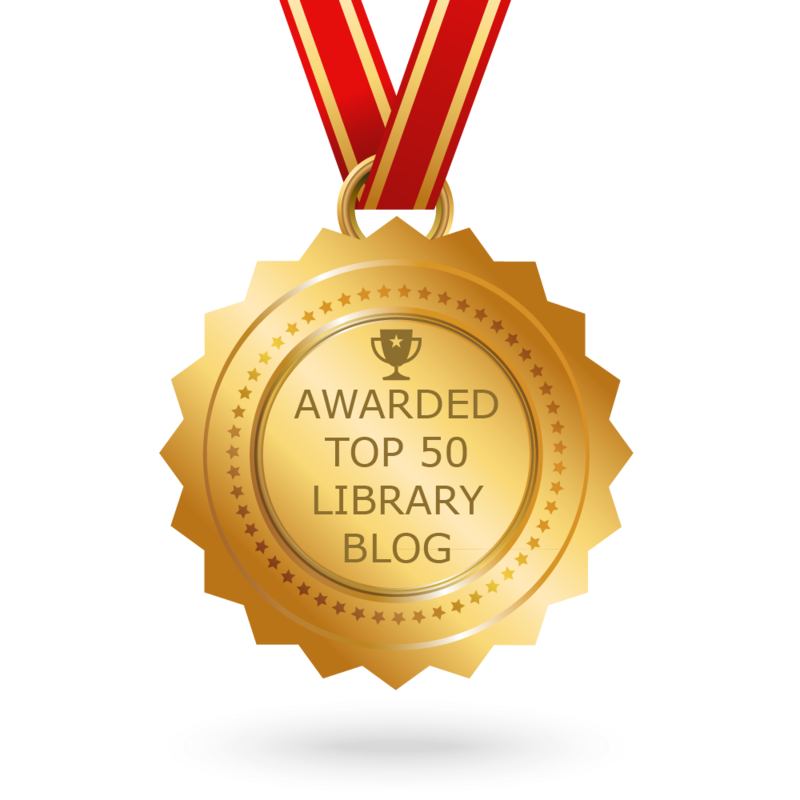 CONGRATULATIONS to every blogger that has made this Top Library Blogs list! This is the most comprehensive list of best Library blogs on the internet and I’m honoured to have you as part of this! I personally give you a high-five and want to thank you for your contribution to this world.